With increased resilience in the financial systems, emerging Asian economies were less affected by the recent global financial crisis, recovering more quickly from the crisis than major advanced economies. Yet, Asian financial systems remain underdeveloped. More open and efficient financial systems continue to be a key priority for Asia’s development strategy. Emerging Asian economies need to tackle the new challenges to macroeconomic and financial stability posed by financial globalisation. 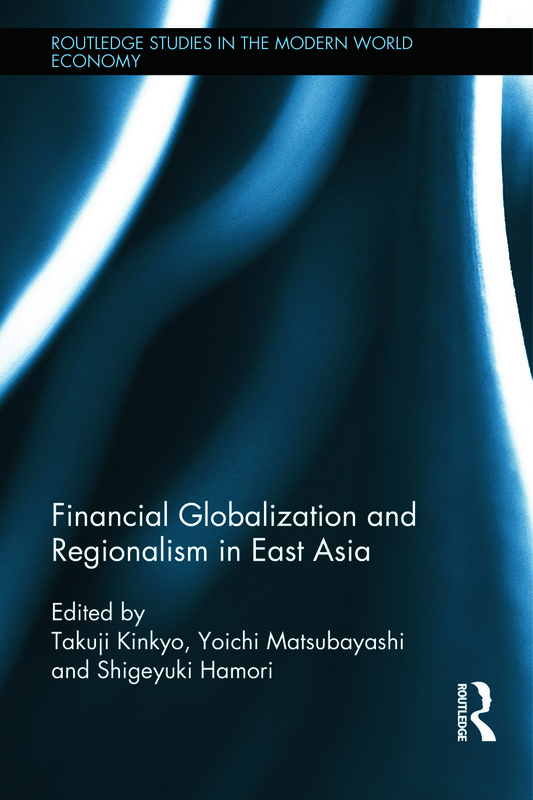 This book identifies the key challenges to Asia’s financial development in an era of rapid financial globalisation and discusses their policy implications for financial reforms and regional cooperation in East Asia. Particular areas of focus include: the impact of financial globalisation on economic stability and inequality in East Asian economies; the progress of Asia’s regional financial cooperation and lessons from the recent European economic crisis; and the priority of financial reforms in individual Asian economies. Combining advanced econometric methods and in-depth case studies, this book provides rigorous and contextual analyses of the most critical issues for Asia’s financial development. It offers a comprehensive and useful guide for students, academics, and policymakers interested in the current state and future prospects of Asian financial systems. Takuji KINKYO is a Professor of Economics at Kobe University in Japan. He received his PhD from University of London. He previously worked as Director, International Department at Ministry of Finance Japan, and was Visiting Lecturer at School of Oriental and African Studies, University of London. His research interests include emerging market financial crises, finance and development, and Asian economic integration. His work has been published in leading academic journals, including Cambridge Journal of Economics and World Development. He is also the co-editor of Global Linkages and Economic Rebalancing in East Asia (World Scientific, 2013). Yoichi MATSUBAYASHI is a Professor of Economics at Kobe University in Japan. He received his PhD from Kobe University. His main concern is international macroeconomics, especially external imbalances in the recent world economy. He has published many papers in refereed journals, such as Japanese Economic Review, Japan and the World Economy. He is also the co-editor of Global Linkages and Economic Rebalancing in East Asia (World Scientific, 2013). Shigeyuki HAMORI is a Professor of Economics at Kobe University in Japan. He received his PhD from Duke University and has published many papers in refereed journals. He is the author or co-author of An Empirical Investigation of Stock Markets: the CCF Approach (Kluwer Academic Publishers, 2003), Hidden Markov Models: Applications to Financial Economics (Springer, 2004), Empirical Techniques in Finance (Springer, 2005), and Introduction of the Euro and the Monetary Policy of the European Central Bank (World Scientific, 2009). He is also the co-editor of Global Linkages and Economic Rebalancing in East Asia (World Scientific, 2013).